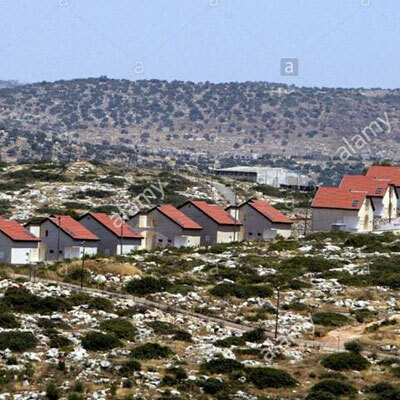 Many people are not aware that as part of Ariel Sharon’s disastrous expulsion from Gaza in 2005, he voluntarily decided to evacuate and expel the residents of four Jewish communities in the northern Shomron: Ganim, Kadim, Chomesh and Sanur. These communities have been vacant since then, maintained as uninhabited no-go zones. AFSI visited these places before the expulsion and provided chizuk to their residents. We were witness to incredibly vibrant, beautiful and productive communities filled with residents giving their all for the Land of Israel. 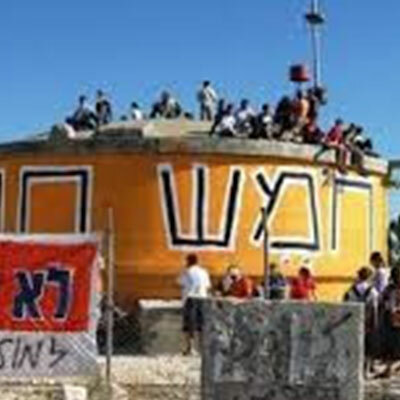 San-Ur served as an artist colony; from Chomesh, on the top of the mountain ridge running along the Shomron, one can see the lights along the Mediterranean, including the power plant in Hadera; Ganim and Kadim, located near Jenin, were frequently targets of sniper fire from there, yet their residents remained steadfast. The residents of these four communities were expelled for no reason. While Israeli Prime Minister Benjamin Netanyahu is calling for Israeli politicians to proceed with caution regarding West Bank issues, MKs within the coalition are advancing a bill that seeks to return four settlements in the northern West Bank area, which were evacuated as part of the 2005 disengagement. “There is no justification to prevent Jewish people from being there,” said the MK who is proposing the bill. Just a few days after Donald Trump was sworn in as America’s 45th president and while the Amona crisis continues, Ha-Bayit Ha-Yehudi MK Shuli Mualem-Rafaeli submitted a bill aimed at returning the Jewish residents who were evacuated during the 2005 Israeli disengagement to their homes in the northern West Bank area. The bill focuses on four specific settlements. This is very encouraging news, as it rights a terrible wrong perpetrated 17 years ago, and reestablishes Jewish sovereignty in critical and vital areas of the Land of Israel. We will be following this very closely. What Will Trump Do About Iran? 1. Box Iran out of Syria, and buy the Sunnis into Syria. 2. Partner with the Saudis to eradicate the Shiite Houtis from Northern Yemen, and destroy al Qaeda in Eastern Yemen. 3. Expose Iran’s game of using the sectarian Shiite Flag to divide and conquer the Arabs to enable the Iranians to steal the Arab “Black Gold Triangle” oil resources. 4. Openly support Iranian democratic forces and demand the release of the imprisoned Iranian presidential candidates that Obama has allowed to remain imprisoned. The article contains details for each step and should be read by our new government officials formulating US policy for the Middle East. The mantra “two state solution” has been the rallying cry for decades of those attempting to squeeze Israel back into the indefensible lines of pre-June 1967. This, along with the imbecilic term “sacrifices for peace”, have driven the world’s attacks on Israel’s so-called “expansionist” policies. Now, Dr. Avi Perry performs a great service for the sane and realistic among us with his latest article in Arutz Sheva: Obsessive inconsistency: The world and the two-state solution. – It was attempted numerous times, only to fail each time because the “Palestinians” refused to accept the existence of a Jewish State. 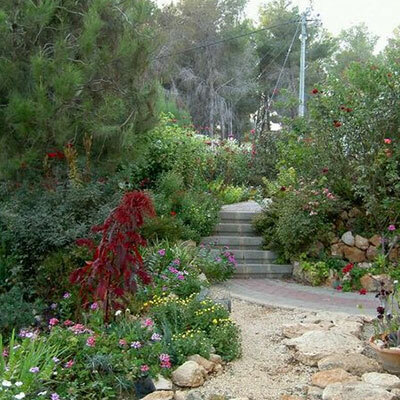 – The idea that “settlements” are the core reason for no peace is an absurdity. – A “two state solution” would really be a “three state solution” as Gaza is its own entity and ruled by Hamas, a terror organization that considers every part of Israel as occupied territory. – There are at least a dozen examples world-wide of territories that are actually occupied that can be considered illegal. As stated above, this article provides a service for the sane and realistic. If only the insane would read it and learn! 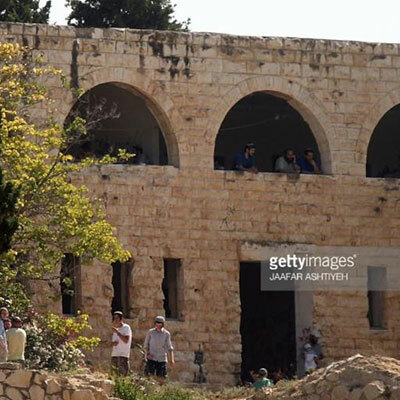 The Israel Land Fund in association with U’faratzta Tours & Events enjoins you to join Arieh King, City Councilman & founder & director of the Israel Land Fund, in a protest against the UN’s illegal occupation of the strategically located Government House in southern Jerusalem. The event will take place Thursday January 26 as the highlight of a unique journey throughout various communities not generally too accessible. Speak out against an injustice that has been taking place for the past 50 years!